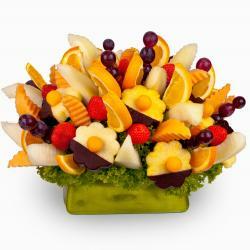 Fruit Cocktail is edible flower made up of various types of fresh fruit, which is perfectly suited as an original decoration for wedding, corporate events and other important events. 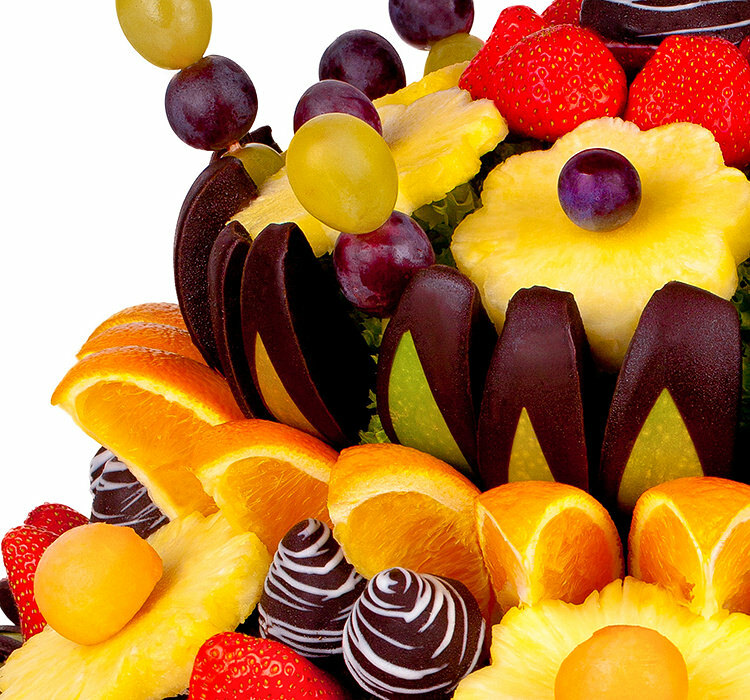 Fruit bouquets are complete novelty.Because they look and taste great, beautifully complement any special event, reception or meeting. 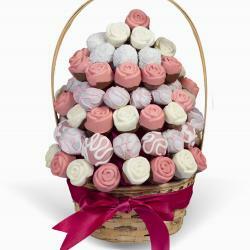 It is also suitable for a garden party or wedding decorations at a wedding reception, as well as other fruit decorations for the wedding. 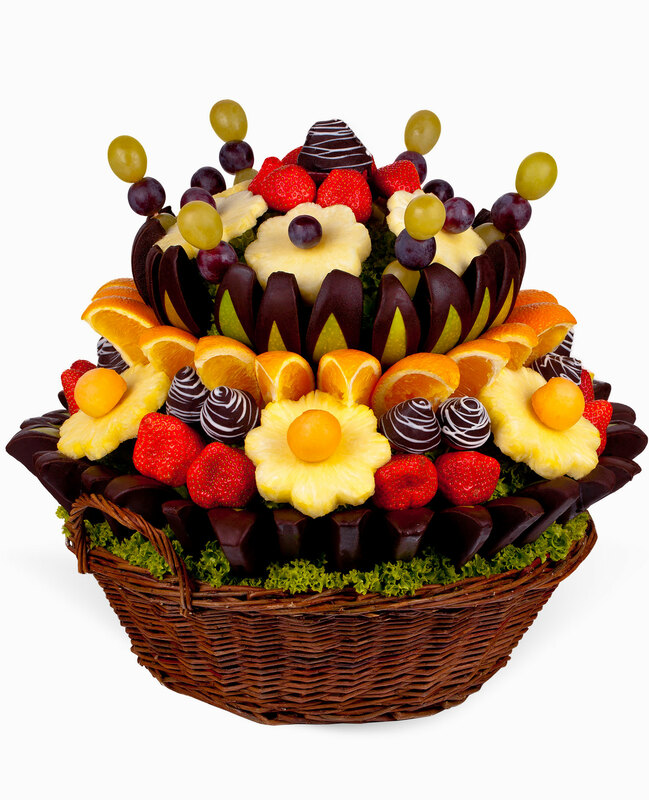 Fruit Cocktail contains chocolate dipped apple slices, apple and orange slices, grapes, strawberries, pineapple daisies and orange flowers.This large fruit bouquet can satisfy up to 12 people. 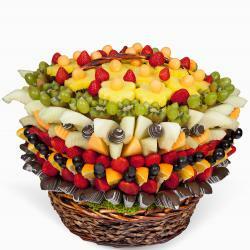 Great gift idea for a fiftieth birthday celebration. 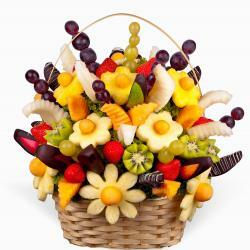 If you have a party anywhere in Czech Republic there is always will be some flower delivery option for you. 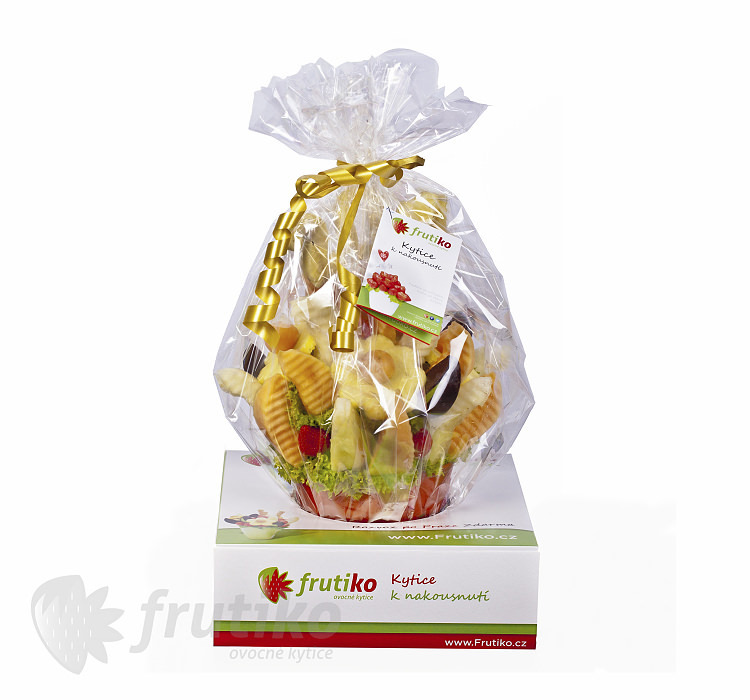 If you want to warmth your home or your party with delicious Frutiko products it is enough to go just any nearest Czech Railways station to collect your flower and enjoy with it.